An ice cream van visits the campus every Thursday. TWO STAFF MEMBERS at the Oberstown detention facility were threatened with disciplinary action by management after they refused to bring a detainee for ice cream, TheJournal.ie understands. The two men were working with one of the children based at the centre when he became aggressive towards staff. He is in the centre for allegedly committing a very serious offence. Every Thursday, an ice cream van arrives at the campus in north Dublin and the detainees are brought to receive a treat. On this occasion, one of the young men was acting aggressively, and as a result, was not brought for ice cream. Sources said that staff are at breaking point and rows with management are becoming more common. Staff at the centre consistently deal with official complaints made about them. On one occasion last month, a male staff member found himself at the centre of an official complaint because he put the Dublin GAA football match on the TV. A detainee wished to watch something else. Due to the centre’s Children First policy, any complaints made by the detainees must be fully investigated, regardless of their severity. 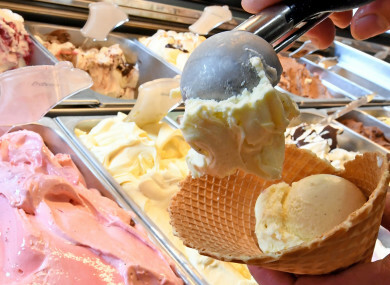 Sources have said that the staff members were not officially put under investigation for refusing to bring the child for ice cream but were threatened with it. Asked to comment on the ice cream incident, a spokesman for the PR firm which works for Oberstown said a comment would not be forthcoming. Email “Staff at Oberstown in row with management because they refused to bring detainee for ice cream”. Feedback on “Staff at Oberstown in row with management because they refused to bring detainee for ice cream”.